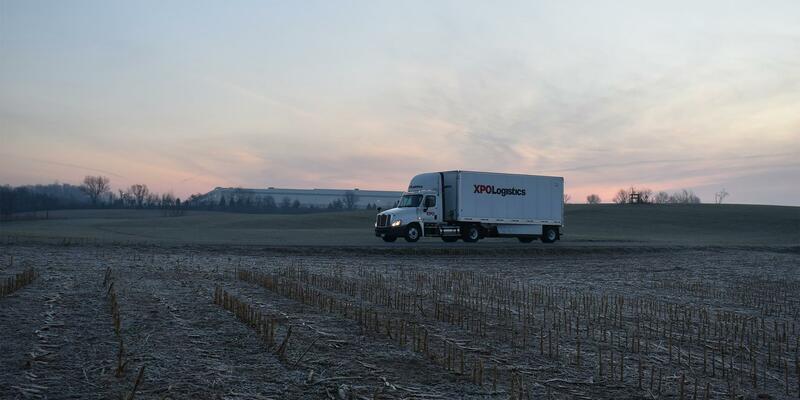 This site, as defined below, is maintained by XPO Logistics, Inc. © 2019. This site is controlled and operated by XPO Logistics or its representatives. All material on the Site, including, but not limited to, images, illustrations, audio clips and video clips, is protected by copyrights, trademarks, registered and unregistered, and other intellectual property rights which are owned and controlled by XPO Logistics or by other parties that have licensed their material to XPO Logistics. Material from any web site owned, operated, licensed, or controlled by XPO Logistics may not be copied, reproduced, republished, modified, uploaded, posted, transmitted, or distributed in any way, including by email or other electronic means unless otherwise agreed to in writing by XPO Logistics. The materials on the Site may not be used for commercial benefit without prior expressed written permission by XPO Logistics. In addition, decompiling, reverse engineering, disassembling, or otherwise reducing the code used in any software on the Site into a readable form in order to examine the construction of such software and/or to copy or create other products based (in whole or in part) on such software, is prohibited. You shall not engage in “spidering,” “screen scraping,” “database scraping,” harvesting of user information, or any other automatic means of accessing, logging-in or registering on this website, or obtaining or accessing any information from or through the Site. You shall not use the Site in any manner with the intent to interrupt, damage, disable, overburden or impair the Site, or interfere with any other party’s use and enjoyment of the Site, including, without limitation, sending mass unsolicited messages or “flooding” servers with requests. You shall not obtain or attempt to obtain any materials or information through any means not intentionally made publicly available or provided for through the Site. You may not use the Site in order to transmit, post, distribute, store or destroy material, including without limitation, content from the Site, (a) in violation of any applicable law or regulation, (b) in a manner that will infringe the copyright, trademark, trade secret or other intellectual property rights of XPO Logistics or any other third party, or violate the privacy, publicity or other personal rights of others, or (c) that is defamatory, obscene, threatening, abusive or hateful. Any contractual agreements between you and XPO Logistics will be documented through a separate written agreement between you and XPO Logistics, although the process may be initiated by submitting information through the Site. XPO Logistics’ receipt of any transaction request information does not signify acceptance of any offer regarding the terms of such transaction. XPO LOGISTICS RESERVES THE RIGHT, AT ANY TIME, TO CHANGE ANY PRODUCTS OR SERVICES DESCRIPTIONS LISTED ON THE SITE, INCLUDING ANY PRICES FOR SUCH PRODUCTS OR SERVICES. XPO Logistics makes no representations whatsoever about any other web sites that may be accessed through the Site. When you access a non-XPO Logistics web site through the Site, please understand that it is independent from XPO Logistics, and that XPO Logistics has no control over the content on that web site. In addition, a link to a non-XPO Logistics Web site does not mean that XPO Logistics endorses or accepts any responsibility for the content, or the use, of such web site. It is up to you to take precautions to ensure that whatever you select for your use is free of such items as viruses, worms, Trojan horses and other items of a destructive nature. XPO Logistics welcomes links to the Site. You may establish a hypertext link to the Site, provided that the link directs to the full version of the Site and does not state or imply any sponsorship or endorsement of your site by XPO Logistics. You are not permitted to link directly to any image or content hosted on the Site or our services, such as using an “in-line” linking method to cause the image or content hosted by us to be displayed on another website. You may not use on your site any trademarks, service marks or copyrighted materials appearing on the XPO Logistics site, including, but not limited to, any logos or characters, without the prior expressed written consent of the owner of the mark or right. You may not frame or otherwise incorporate into another Web site any of the content or other materials on the XPO Logistics site without the prior expressed written consent of XPO Logistics. XPO Logistics, its affiliates and each of their directors, officers, employees and authorized representatives DO NOT WARRANT THAT THE WEB SITE IS ERROR-FREE OR THAT THE WEB SITE WILL BE PROVIDED. MATERIALS FOUND WITHIN THIS WEB SITE MAY CONTAIN TECHNICAL INACCURACIES OR OTHER ERRORS. ALL MATERIALS ARE PROVIDED ON AN “AS IS” AND “AS AVAILABLE” BASIS, WITHOUT WARRANTIES OF ANY KIND EITHER EXPRESS OR IMPLIED. TO THE GREATEST EXTENT PERMISSIBLE PURSUANT TO APPLICABLE LAW, XPO Logistics, its affiliates and each of their directors, officers, employees and authorized representatives DISCLAIM ALL WARRANTIES, EXPRESS OR IMPLIED, INCLUDING, BUT NOT LIMITED TO, IMPLIED WARRANTIES OF MERCHANTABILITY AND FITNESS FOR A PARTICULAR PURPOSE. XPO LOGISTICS, its affiliates and each of their directors, officers, employees and authorized representatives MAKE NO WARRANTIES THAT YOUR USE OF THE MATERIALS, INFORMATION, SOFTWARE, FACILITIES, SERVICE OR OTHER CONTENT IN THE SITE OR ANY WEBSITE WILL NOT INFRINGE THE RIGHTS OF OTHERS. Some jurisdictions do not allow the disclaimer of implied warranties, so these limitations may not apply; however, they SHALL apply to the greatest extent permitted by law. XPO Logistics, its affiliates and each of their directors, officers, employees and authorized representatives WILL NOT BE LIABLE FOR ANY DIRECT, INDIRECT, INCIDENTAL, PUNITIVE, SPECIAL AND/OR CONSEQUENTIAL DAMAGES (SUCH DAMAGES INCLUDING WITHOUT LIMITATION LOST PROFITS, LOST REVENUES, LOST DATA, AND/OR COSTS OF PROCURING SUBSTITUTE GOODS, SOFTWARE OR SERVICES) HOWEVER ARISING, EVEN IF YOU HAVE ADVISED US OF THE POSSIBILITY OF SUCH DAMAGES. YOU EXPRESSLY AGREE XPO Logistics, its affiliates and each of their directors, officers, employees and authorized representatives SHALL HAVE NO LIABILITY TO YOU FOR ANY CLAIM BROUGHT AGAINST YOU BY A THIRD PARTY. TO THE GREATEST EXTENT PERMITTED BY APPLICABLE LAW, IF ANY OF XPO Logistics, its affiliates and their Respective directors, officers, employees and authorized representatives is RESPONSIBLE FOR ANY DAMAGES, THE MAXIMUM AMOUNT YOU MAY RECOVER FOR ANY AND ALL CLAIMS RELATING TO THIS YOUR USE OF THE WEB SITE SHALL NOT EXCEED TWO HUNDRED DOLLARS ($200). Some jurisdictions do not allow the exclusion or limitation of certain types of damages, so these exclusions may not apply; however, they shall apply to the greatest extent permitted by law. To access some of the services the Site has to offer, you may be asked to provide registration details. It is a condition of use of the Site that all the details you provide be correct, current and complete. To the extent that an individual account is established, it will be your responsibility to maintain the confidentiality of such information, including any username or password information.